I can hardly believe the kids are back in school again – the summer flew by. We had a really great three months with lots of family time and fun, and now we’re adjusting to school mode again – earlier bedtimes, earlier wakeup times, quick breakfasts, packing lunches… all the little routines that help make our kids’ days smoother and better. The weekend before school began I started stocking up on favorite healthy snacks and nonperishable lunch items so we’d be prepared. We love H-E-B and all the variety they have to offer, so it was a great one-stop shop for everything we needed. As I shopped, I realized that I always gravitated towards options that offer Box Tops for Education. We love the Box Tops program, because all we have to do is shop for things we’re already planning to buy, clip the tops, and send them to school (your school will receive 10 cents for every Box Top you clip and send!) 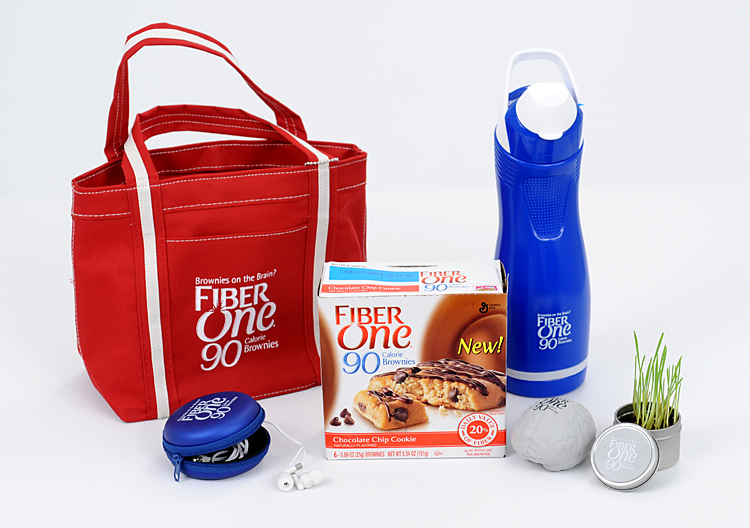 – it’s an incredibly easy way to support our school and its teachers. 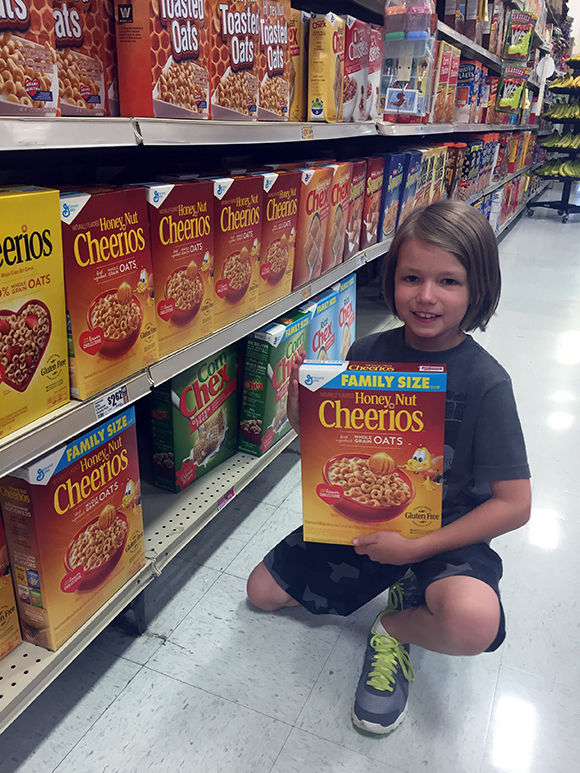 Just look for the box Tops label when you shop General Mills products at H-E-B. Whether we’re shopping for breakfast, lunch, dinner, or even snacks, it’s easy for us to find Box Tops products to help support our schools. I have many friends who are teachers, and my mom was a teacher for many years until she retired this summer. I know how much teachers invest in their students by purchasing many things on their own dime, so it’s incredibly important for us to support teachers and schools with great programs like Box Tops for Education. 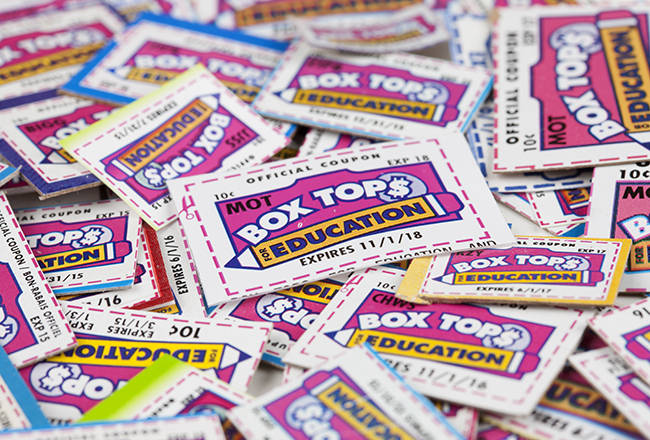 Right now there’s an even easier way to ramp up Box Top efforts – 20 Texas schools will win 20,000 bonus Box Tops (this is a value of $2,000!). Support your school by registering here for your chance to win the sweepstakes, and let your fellow parents know so they can enter, too!